The control circuits S3R, BCR, BDR, TM/TC and MEA are classified in terms of functional module, and arranged mainly in power control unit. 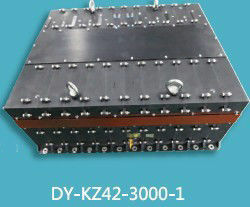 Moreover, it employs high accuracy PI integrated with MEA control technology, and frequency limiting modulation for shunt, so as to modulate multiple solar cell arrays. Meanwhile, it performs charge management and accurate control of Li-ion battery. Power control unit employs the architecture of modular integration to combine and expand S3R, BDR/BDR, BCR/BDR, TM/TC, MEA and other modules according to general power. The bus interfaces for external communications are optional.